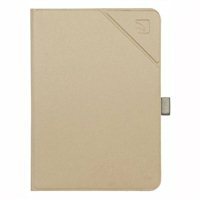 Folio case for iPad Pro 10.5" with rigid back shell - resistant and with satin finishing. The front cover with the folding flap allows you to use the camera very easily. Color Gold.